Come enjoy physics demos and games! 20% of your purchase will go to LU-SPS when you mention us at the register. SPS Lamar University Chapter - Official 2018 T-shirt! The Society of Physics Students is an organizational arm of the American Physical Society as a professional organization that focuses on Physics students and their advisors for the promotion of those seeking a career in Physics. 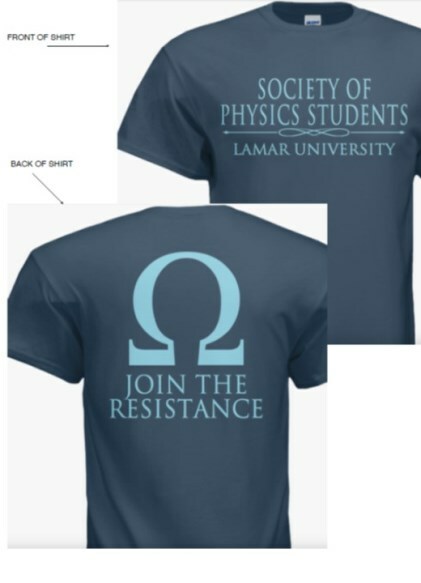 Go the SPS Lamar Chapter for more information as an official student organization on OrgSync. 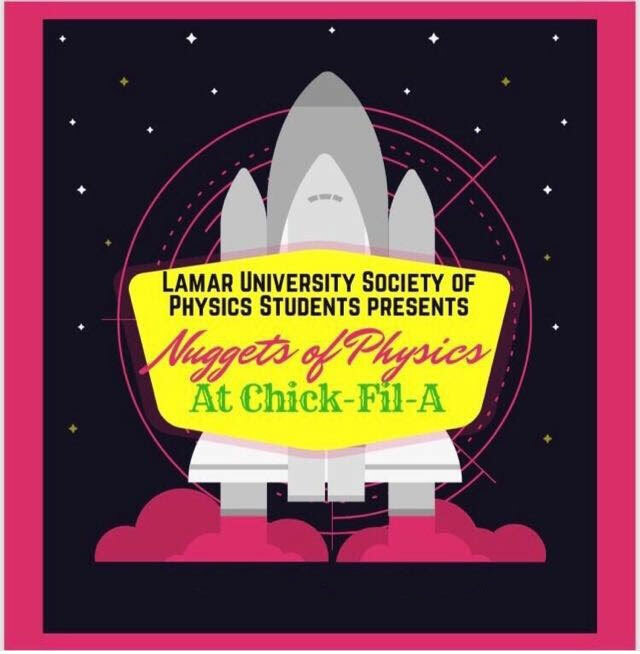 Society of Physics Students at Lamar produces an annual report on its activities involving participation at conferences, collaboration with advisors in research, visitations to national laboratories and research institutions related to SPS National programs.